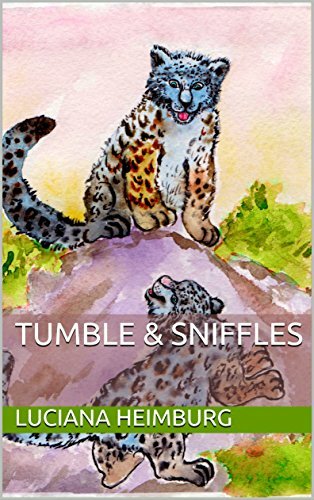 We would like to share with you this adorable children’s book, Tumble & Sniffles, a story about two young snow leopard cubs written by 11 1/2-year-old Luciana Heimburg when she was nine! It has just been released on Amazon as a Kindle E-Book. If you don’t have a Kindle, never fear, there’s a free app you can download for your smart phone, tablet, or computer! This is Luciana’s first published work. She wrote it to show her love of snow leopards and raise awareness of their endangered status. Her story is charming, and the illustrations by Masha Somova are absolutely beautiful. We can’t wait for you to see it. Luciana has also chosen to donate half of all proceeds from her book to the Snow Leopard Conservancy for snow leopard conservation. 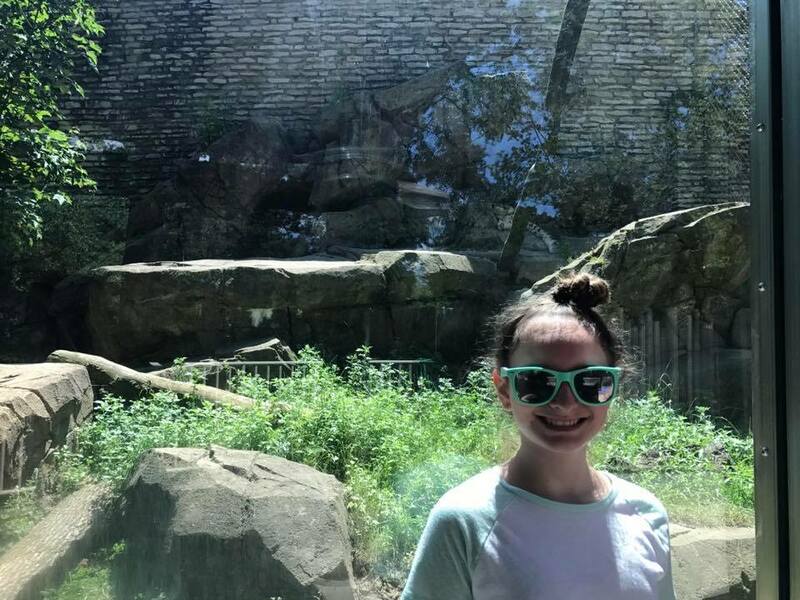 The author of Tumble & Sniffles with her favorite animal at the Buffalo Zoo.